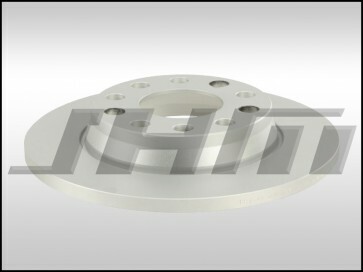 These are High Carbon, Coated Rear Rotors made by Textar. These are the same style rotors that came on the B6-A4 with the 3L V6 from the factory but they feature High Carbon Coating to prevent corrosion build up. Textar is an Original Equipment Supplier (OES) for many Original Equipment parts on Audis.